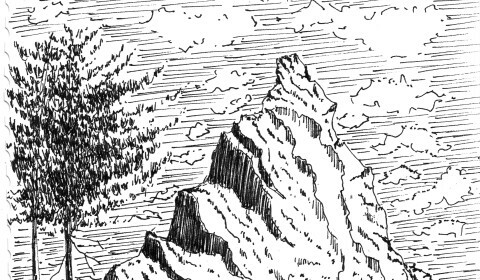 Unleash your creative side this new year by learning to draw simple landscapes in pen and ink. NYA Network Member Pen and Ink Artist Rahul Jain offers completely FREE fully illustrated step by step tutorials for drawing different elements of nature in pen and ink like trees, stones, mountains, bushes etc.’Templates’ are also provided that can be printed and used to practice drawing simple landscapes with pen and ink. Our hectic lives need a bit of creative break now and then. With the help of these tutorials and a simple pen and a sketch pad, you will be able to connect with your creative side and engage your imagination. All completely FREE and at your own pace.